Myrtle Beach Real Estate News: Why Buy Myrtle Beach Real Estate today? This is a question that Realtors working in the Myrtle Beach real estate market are asked everyday. Buyers are wondering if the market has hit the bottom and if now is the best time to buy. Of course, we do not have a crystal ball yet there are a few things that you may want to make note of and then decide what it means. Local real estate agents are starting to invest in real estate now. They are buying condos and homes in Myrtle Beach right now. They are trying to find quick flips, looking to buy quality properties at a deep discount, to hold them long term in order to build wealth. Banks are needing to dump existing inventory in order to clean up their books for 2011. On quality properties, we are seeing multiple offers. Listen, we have not seen multiple offers for 4 years now...what does this mean? Supply is lower then has been in 5 years. You can still get a deal on sub-par properties but the quality is almost gone. Current owners of Myrtle Beach real estate are not wanting to hold for the long term so they are getting out of their properties now. Investment groups are starting to form again in an attempt to leverage capital and buy multiple properties. Some of these groups are coming from China and Canada. The average number of days on the market is starting to decline. Some Myrtle Beach condos and homes are selling within one week of being listed. I sold one last week that received 3 offers within 24 hours. Lots are starting to sell again. Land and lots have been the worst performing segment of our market and now it is starting to move. We are seeing developers start construction on homes in Myrtle Beach and the surrounding areas again. 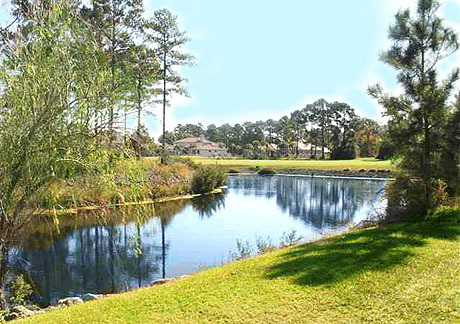 Yes, the price of land for sale in Myrtle Beach is so low that developers are building again! ﻿I am not going to be that Realtor that makes a bunch of predictions as to where the Myrtle Beach real estate market is heading in order to make some quick sales. I will tell you that the above facts are actually taking place in our market right now. You have to answer what this means for yourself. Think logically...not emotionally; and ask yourself if this is the time to buy or is it time to wait. Those who buy now will end up with a quality property that will likely appreciate over time. People who wait will get deals on what the savvy investors didn't want. Be careful, dont just go buy anything and everything. You need a knowledgeable agent who will help you find a quality piece of real estate that meets your long term goals. At The Harrelson Group, we study the trends every day in order to best position our clients in our market and in today's economy. We hope that you will be our next satisfied client!